Marvel-Land is making it’s way to Disney California Adventure! 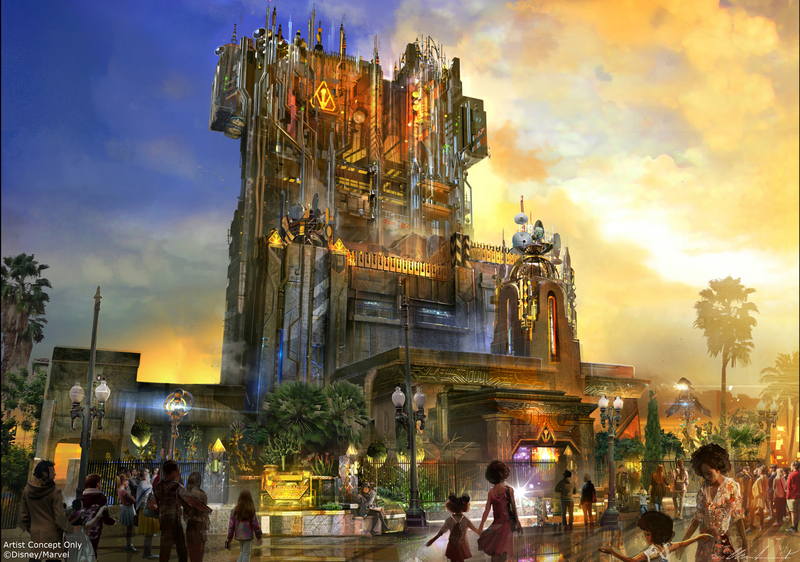 The first Marvel-based attraction in the United States, Guardians of the Galaxy: Mission Breakout! is already a huge success. Fans have been posting online and writing glowing reviews about the new ride and as announced at D23 Expo, it is only the first of a series of Marvel features coming to the Hollywood Land area. Although not officially renamed, Bob Chapek, Chairman of Disney Parks and Resorts, revealed the new Guardians ride would pave the way for Marvel-immersive experiences featuring Spider-Man and the Avengers! (It was curious to note he didn’t say “attractions” so hopefully it’s something better than Innoventions). But would it be as good as the beloved Twilight Zone Tower of Terror? Yes! Essentially, it’s the same exact ride. Bouncing up and down in free fall from random heights is the primary thrill of the attraction – and that’s not a bad thing. That they kept what made Tower of Terror so much fun and wrapped a new story around it showed they understood what made the original attraction great to begin with. 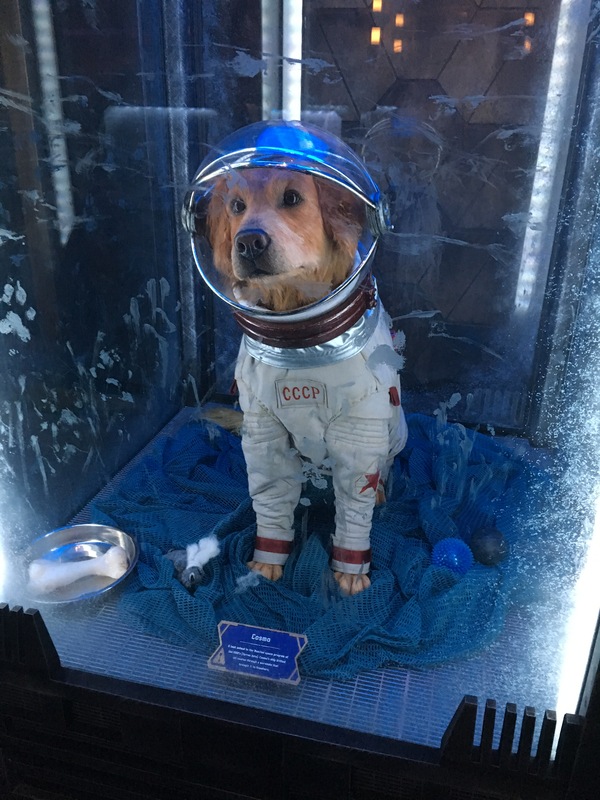 To “plus” the experience as Walt Disney called it, they added a fun video featuring the stars of the movie, a museum featuring artifacts and displays of various objects often relating to the Marvel Cinematic Universe (as well as the most adorable audio-animatronic dog), and a new introduction to the ride featuring fan-favorite Rocket Raccoon. 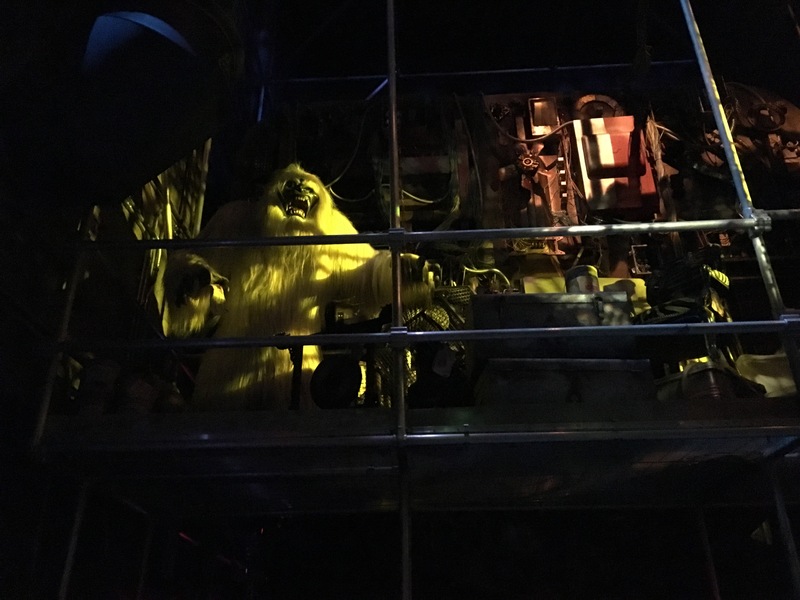 Since it is a museum featuring The Collector, it made sense that there would be artifacts from all over the galaxy – including Disneyland’s previous version of the Abominable Snowman from the Matterhorn! The set decoration for the ride was done well – with one exception. If guests are boarding a vehicle to tour The Collector’s exhibit, then why are we boarding in a scummy basement elevator? It made sense when it was Tower of Terror for guests to be led through a dark, dreary space and in fact it was weaved into the element of the story. But it doesn’t make sense for this ride. Shouldn’t there have been more artifacts and wonders to look at in this next section of the attraction? The other thing that bothered me is Imagineering’s continued reliance on video technology and a veering away from actual audio-animatronics. While the video provides more reliable interaction and life-like recreation, it also takes away an element of the “real” that can’t be reproduced digitally. What I loved about attractions like Radiator Springs Racers is the combination of different technologies to truly provide an immersive experience. Watching digital recreations on a screen is simply watching a sophisticated movie. Overall, I loved the ride! I even waited in the stand-by line (mostly because I wanted to see all the cool stuff) and it wasn’t that bad – under an hour. I’m so glad they kept the essence of it intact, and it was a good introduction to Marvel at Disneyland. From rumors about the attraction, the ride was going to be overhauled no matter what, so they repurposed it in a creative and fun way. Plus, who doesn’t love the Guardians of the Galaxy? Definitely worth the wait, add Guardians of the Galaxy: Mission Breakout to your “must ride” list. I will not sign this, this is stupid to ask change.org to change! Get over yourself. And DO NOT ask to have this sent over here to Hollywood Studios! Change is happening even if you Dont like it and if its not the WAY you like it! DEAL WITH IT! WE ALL HAVE TO DEAL WITH THE NEW CHANGES! WE CANNOT CHANHE WHAT DISNEY IS DOING BECAUSE THEU ARE TOO POWERFUL EVEN FOR YOU! Hi, Melanie! Did you even read the article? There wasn’t a link to change.org or anything like it. Why are you freaking out? Maybe you should read the post before replying with such vitriol. Fear not, no one here is saying we shouldn’t do this. I just hope they do it right! Next Next post: Why Go To Mickey’s Halloween Party? – Because It’s So Much Fun!